We had discussed a lot of feng shui tips and taboos. In order to better understand the feng shui tips and taboos in bedroom, we summarize below top 12 must see bedroom feng shui tips and taboos with illustrations. Hope those feng shui tips and taboos can help you to get good feng shui environment in your bedroom. Washroom (Toilet) inside of bedroom. If you have big house and there is one big bedroom with washroom inside. You will think that will be comfortable for people to go washroom. But as you know, washroom is full of bad smell and moisture. There is no window in washroom that will be worst condition. 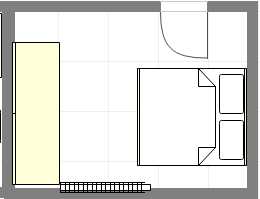 The bad smell and moisture will flow into bedroom. The moist environment will be good for germs. So in long term, this kind of environment will influence our health. Place the bed facing the door. 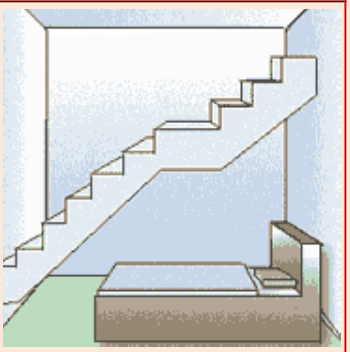 The door or window is the entry of feng shui energy flow, so do not place bed facing the door or near the door. Because in that case, you will sleep with unstable energy. Place the bed under overhead beam. 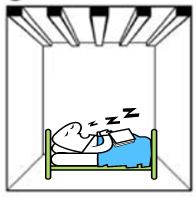 The beam will create pressure to people who sleeping under the beam. Oppression will round you and cause insomnia, lack of sleep and headache. 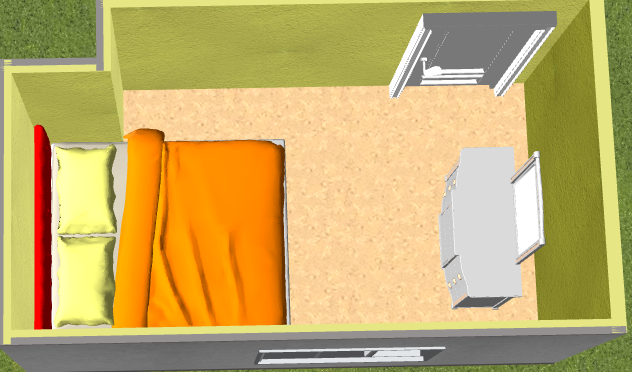 Bed close to knife shape wall. The knife shape wall near the bed with bad meanings. It may cause headache and illness. In that case, you would better to move the bed. If no other better places to place the wall, you can place some soft decoration to cover the sharp corner to reduce the bad energy. Placing the Bed under staircase. 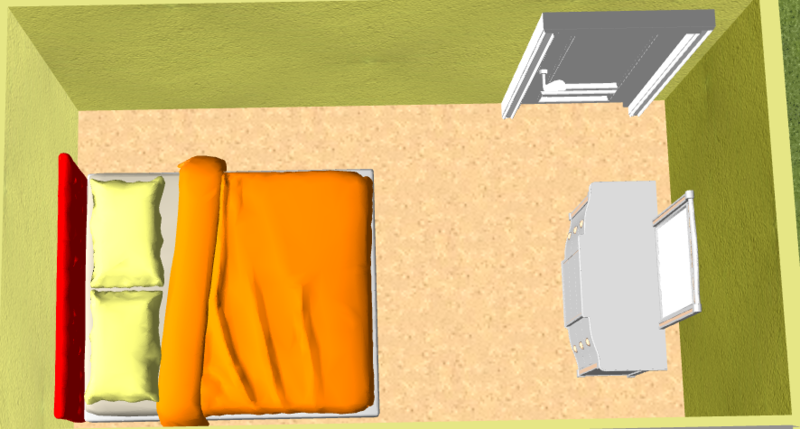 The poor placement of bed is same with placing the bed under overhead beam. So it will cause bad sleeping with nightmare. In order to avoid this, You can just move your bed to a better location. Bed Head against the wall behind toilet bowl. As you know, when you use the toilet bowl the noise will interrupt your sleep. In long term, it will cause headache and sleepless. 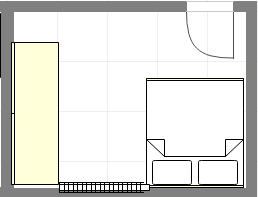 You shall move the bed to other location to avoid this bad feng shui. 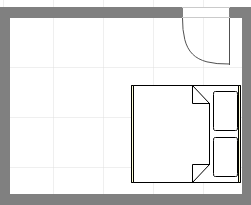 Placing the bed without backing support. If there is no backing support for your bed, it will cause people unsafe feeling during sleeping. No support also will affect your career. So you shall place the bed with backing support. Place many electronic devices in your bedroom. Such as TV, Sound System and phone. 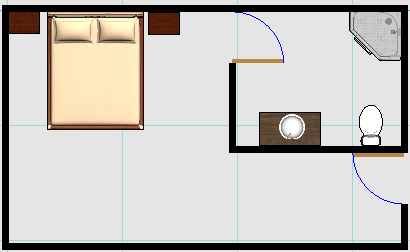 Some people would like to place the TV and computer in bedroom. But those electronic devices will emit electromagnetic radiation. In long term, it will influence our sleeping quality even our healthy. Based on investigation result, If place TV in bedroom will reduce 50% sexual life. Because we will only focus on TV programs and there are less communication between couple. Meanwhile the violence will cause Low sexual desire. Install the air conditioner right above or near your bed. Usually we hang air conditioner on the wall. 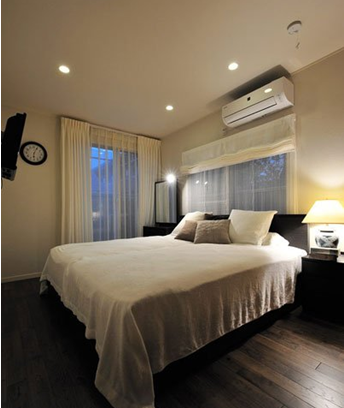 If the air conditioner right above or near your bed, in summer, the cooling air will blow to you directly. Meanwhile there is one heavy air conditioner right above your body; you also will feel more pressure. It will cause bad sleeping and headache. 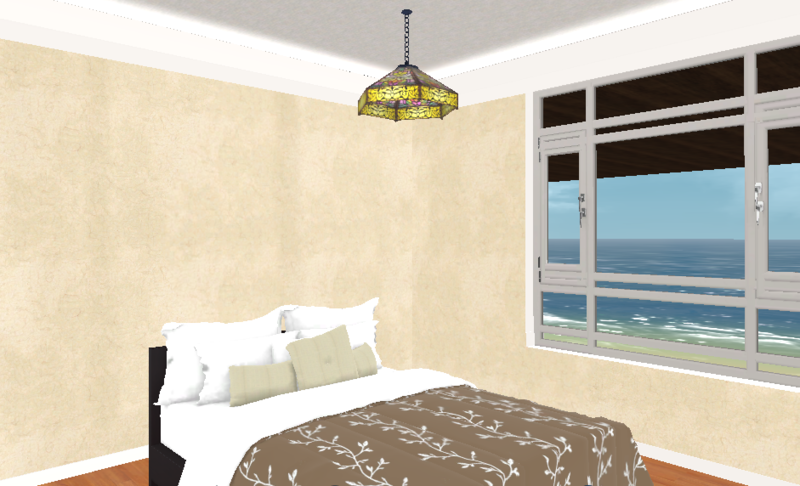 Hope those feng shui tips could help you to get good feng shui environment and harmony in your bedroom. Good Luck!